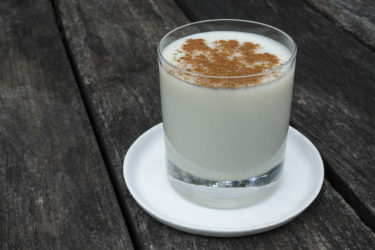 Coquito is the Puerto Rican version of eggnog, and a staple at any holiday gathering on the island. If you've ever been to Puerto Rico during the Christmas season (which, by the way, is a long one), you've probably tried coquito. This traditional coconut punch is a must-have at Christmas and New Year's celebrations in Puerto Rico. It's similar to eggnog, but with the added tropical flavor of coconut. You'll find many recipes for coquito. Mine is a very simple mixed drink you can make from canned cream of coconut in just 10 minutes, so you'll have more time to spend with your family and friends while it chills. 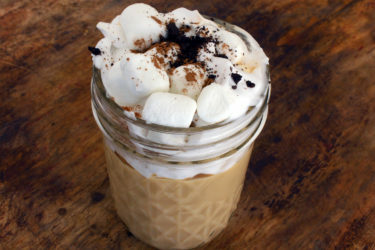 You can also make 2 versions: one for grown ups and a non-alcoholic for the kiddos. In a blender, add evaporated milk, coconut cream, condensed milk, vanilla extract, ground cinnamon, rum and grated coconut. Blend on high until mixture is well combined, 1-2 minutes. Pour mixture into glass bottle; cover. Transfer to refrigerator. Chill until cold. To serve, stir or shake bottle well to combine. Pour coquito into small serving glasses. Garnish with ground cinnamon or cinnamon sticks, if desired.